Not being Mobile Friendly WILL affect your search rankings! Back in November 2014 Google announced they were adding a label ‘Mobile Friendly’ to their mobile search results. The label was to indicate if the target website was optimised for viewing on a mobile device. 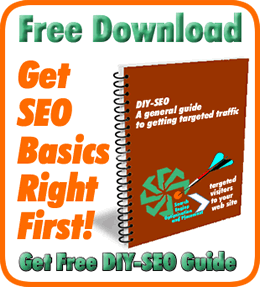 “What impact will it have for your search ranking”? 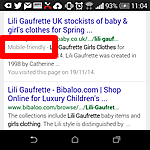 Will sites labeled with ‘Mobile-friendly’ influence searchers behaviour? Will it make a real difference and impact on clickthrough rates? Most importantly, will it influence SERP ranking positions? At the time it was believed it might but was still unconfirmed. Well, the answer is in and ‘Yes’ it will! Google has started contacting webmasters through Google Webmaster Tools (GWT), sites that it considers to have usability issues! The highlighted section below confirms that being Mobile Friendly is now a ranking factor for mobile search. 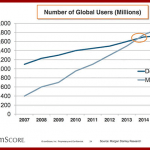 Unless you have been living on another planet or not monitoring your analytics stats you might be unaware of the growing search volumes being carried out on mobile devices. 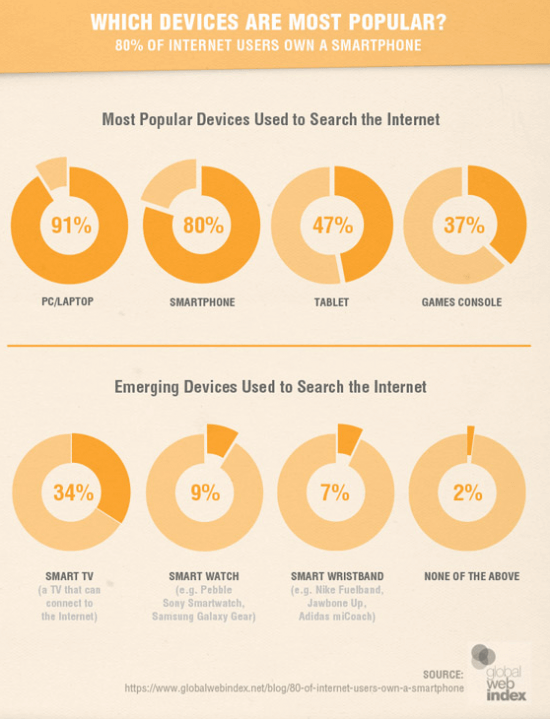 The most recent research shows that mobile search has overtaken desktop and that trend is going to continue. 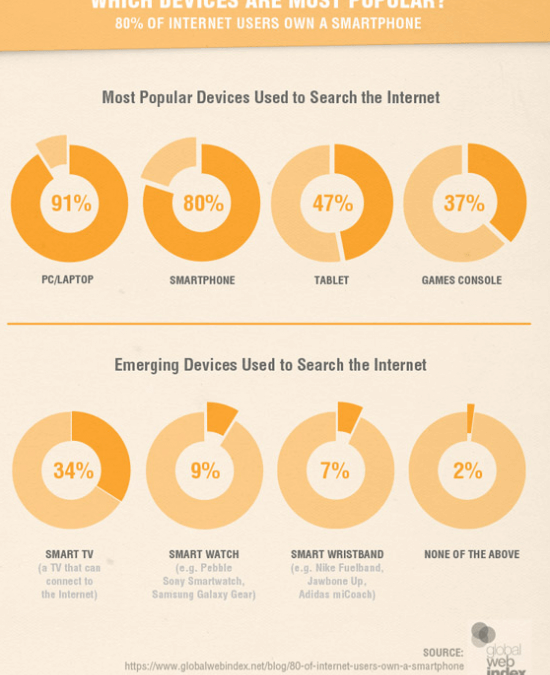 Although desktop is still the largest search device at 91%, smartphones at 80% are not far behind and combined with tablets, far exceeds desktop search volumes. In the short term this may not be a major worry or concern for many sites given their demographic and product offering, as desktop search may still be their biggest traffic driver. But, who is to say that in the not too distant future, with the continued trend of mobile as the device of choice for search, Google might take the view that those sites making no effort to improve their user experience should also be downgraded across all platforms! If you depend on search for all or even part of your business success, now might be the time to take stock and think about the long-term impact that decision could have! 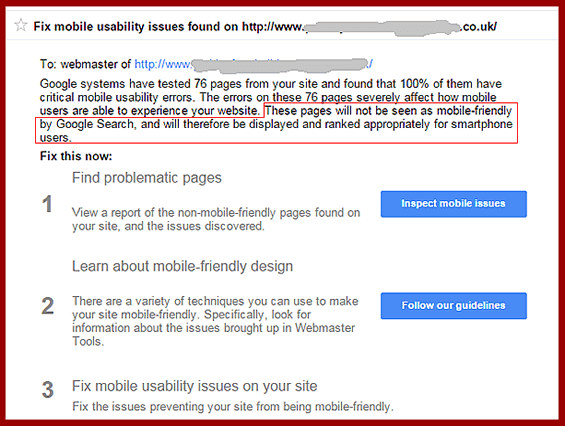 If you are unaware or unsure if your site is mobile friendly, Google Webmaster Tools is the first port of call to check if you have any messages highlighting any issues. You can check here to find out if your site is mobile friendly! Or, give us a call on 01324 808124 for advice and help on how best to implement a responsive mobile friendly site to ensure you don’t lose out in the future.